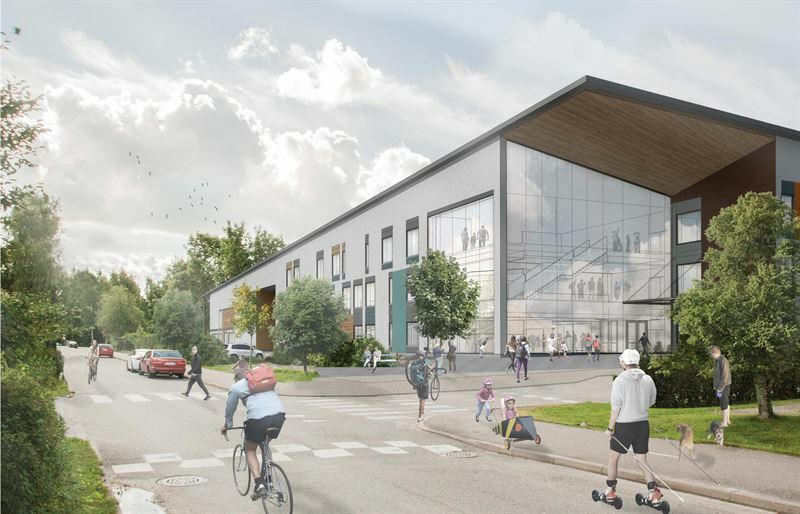 NCC has been commissioned to construct the new Kinnari school in Järvenpää, Finland. The project will be carried out with the customer, the city of Järvenpää, in the form of a partnering arrangement. The project is valued at approximately SEK 255 million. “As we did in the development phase, we will once again utilize VDC (Virtual Design and Construction) in the construction phase. This also allows us to involve the actual end users – the pupils and teachers – in the project. The school will also be built according to an open construction model, meaning the plans can be adjusted as work progresses and construction has already commenced,” says Mika Soini, Head of NCC Building Finland. Demolition works are finished at the site. Two old buildings as well as temporary teaching facilities for use during the construction period will remain on the school premises. The new school will include a preschool and all nine grades of elementary school and it will open in August 2019. The new Kinnari school will feature an open learning environment according to the new curriculum. The interior will be flexible and adaptable – for example, the multi-function central lobby will be used as a dining, meeting and teaching area. The school will also have teaching units instead of traditional classrooms, and pupils will not have personal school desks. About NCC. Our vision is to renew our industry and provide superior sustainable solutions. NCC is one of the leading companies in construction, infrastructure and property development in the Nordic region, with sales of SEK 53 billion and 17,000 employees in 2016. The NCC share is listed on Nasdaq Stockholm.